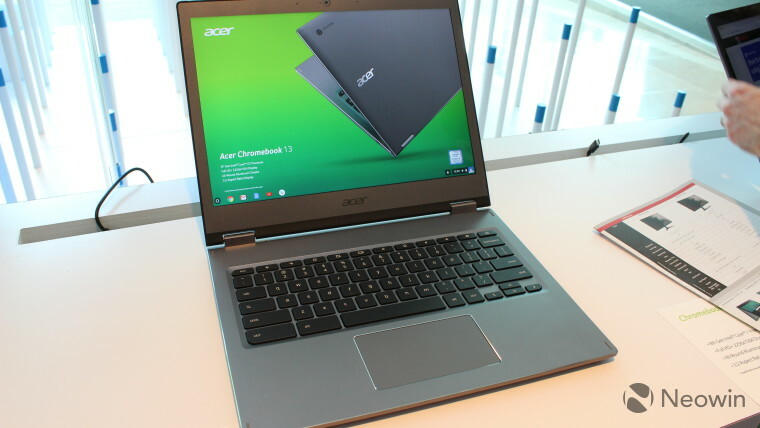 Acer today announced updates to its Chromebook 13 and Chromebook 15 device families. For Chromebook users, both of these devices are important and provide a choice on either end of the market. The Chromebook 13 family of devices will be the one to receive star billing here. This consists of a pair of svelte, aluminium devices aimed at business users. While these are actually two discrete devices in the Acer Chromebook 13 and Chromebook Spin 13, there are more features that unite them than divide them. Both devices will ship with 13.5-inch Full HD+ (2256x1504) displays. Their displays will also come in the 3:2 ratio that Surface Laptop users have been enjoying. This ratio provides more vertical space for users to engage with documents, spreadsheets, and slides without needing to scroll as much as they would if they were they using a traditional 16:9 display. Internally, they are powered by eigth-gen Intel Core processors. The Spin can be had with either an i5-8250U or an i3-8130U processor with up to 16GB of RAM and 128GB of storage. 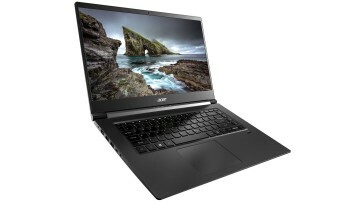 The regular Chromebook 13 has a more modest Intel eigth-gen i3-8130U processor with the option of Pentium 4415U or Intel Celeron 3865U processors on the lower-end. It also comes with up to 16GB of RAM, but maxes out at 64GB of storage. 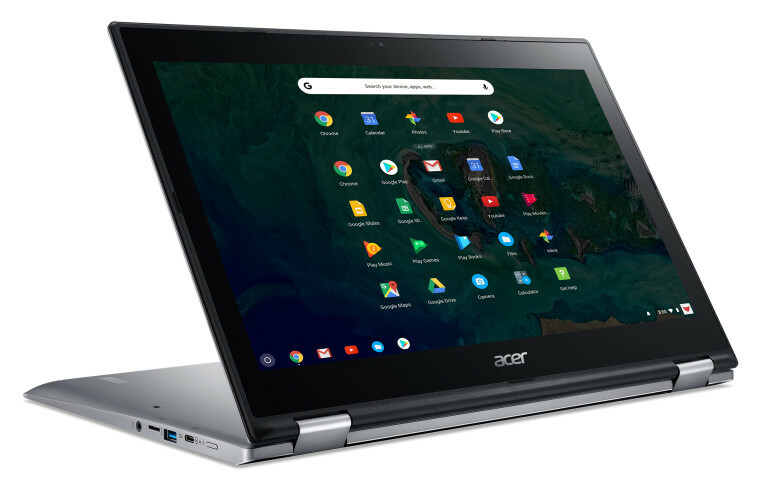 Now, while the Acer Chromebook 13 is a traditional clamshell-style device, the Chromebook 13 Spin is a convertible multi-mode hybrid device. It can be used as a traditional laptop, or as a tablet. If neither options appeal, users can fold it into a tent mode. 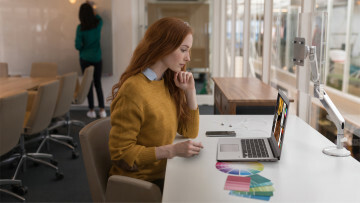 The Chromebook Spin 13 is Wacom stylus enabled which means users can take notes with one of many Android note-taking apps, including Microsoft's OneNote, Google Keep, and Squid, among others. Both devices are touch-enabled, support USB Type-C charging, and ship with support for the Google Play Store and Android apps. 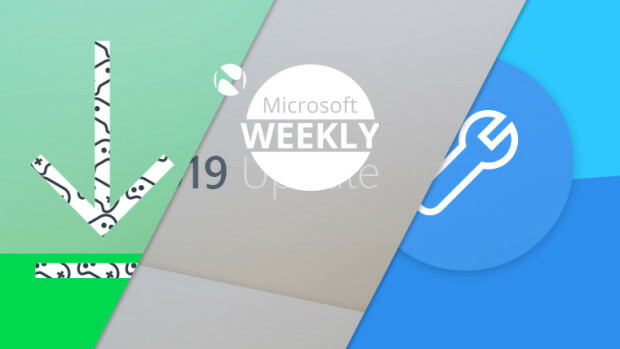 Chrome OS will also support Linux apps later in the year, and it seems likely that these devices will support the feature when it eventually rolls out. 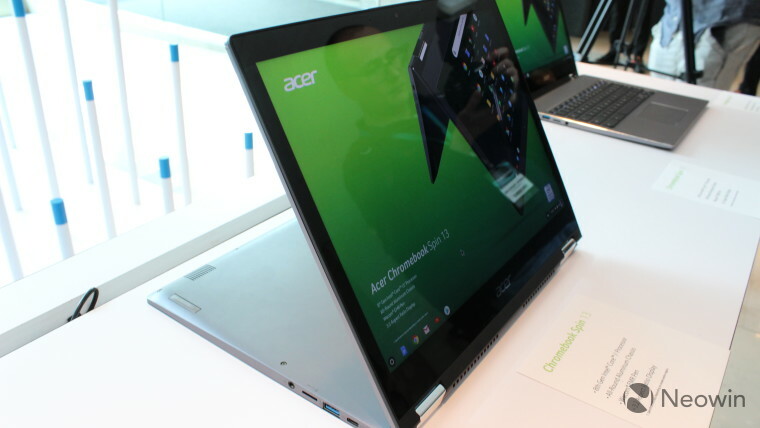 “The new premium profiles of the Acer Chromebooks are a reflection of the superior performance they provide, as well as of the vast capabilities of Chrome OS,” said James Lin, General Manager, Commercial & Detachable Notebooks, IT Products Business at Acer. 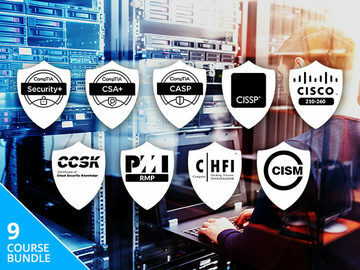 “As a leader in Chromebooks, Acer has helped accelerate their adoption in business, education, and at home. As Chrome OS has evolved to include more features, we’ve responded with designs and form factors that offer meaningful benefits to our customers. Finally, the firm announced new Chromebook 15 devices at its event. The Chromebook 15 family of devices is structured the same as the Chromebook 13, albeit aimed at a more frugal market. You'll find two similarly designed devices here, one with a clamshell form factor which is an update to last year's Chromebook 15, another with a hybrid design. However, these laptops are more focused on bang for your buck than strict productivity. 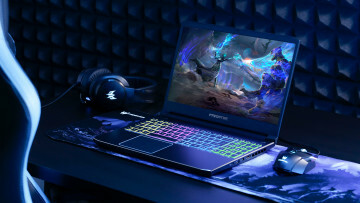 They come with weaker processors, powered by either Pentium or Celeron processors depending on your choice of device, and a less pixel-rich 1080p display and no 3:2 display ratio. 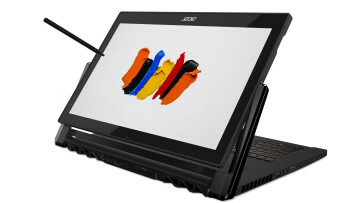 Like the Chromebook 13, Acer is also adding USB Type-C support. The Chromebook Spin 15 will be available in the EMEA in June, and the US in July. It'll cost $449 and €449 respectively. The vanilla Chromebook 15 will cost $349 and €399 when it launches at the same time.